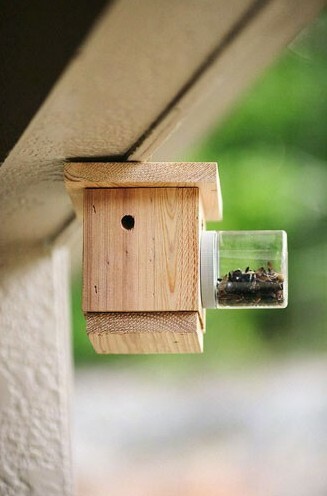 Our Carpenter Bee traps protect any wooden structure. Designed to mount against a structure. 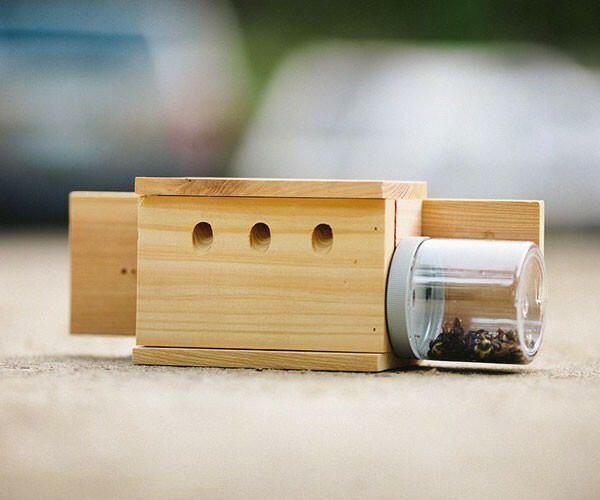 Easily removable jar for discarding bees. Pre-treated with attractant. Never requires more attractant. Only catches carpenter/ wood boring bees.